When we are tempted in our circumstances we are faced with a choice. We can side with the world and the flesh or we can side with Jesus. I have always gotten that and clearly understand in every temptation the distinction between the choices. But I read something by Oswald Chambers one morning that really put “temptation” in a new light; in perspective. Luke 22:28(a) Ye are they which have continued with me in my temptations. The word “temptations” in the Greek is periasmos, and as used here it means trials with a beneficial purpose and effect. And while I understand that God controls my circumstances for the purpose of challenging me for my own growth and spiritual maturity, I never realized just who it is that is being tempted by the enemy or my old nature. Here in Luke the target of those temptations is made pretty clear. 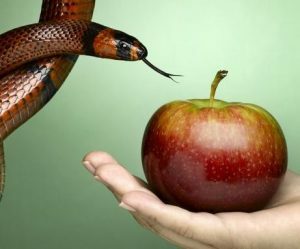 Jesus was constantly tempted by the enemy throughout His entire earthly life, but what I never thought about is the fact that He is still being tempted today in the life of every believer. Our challenge lies in how we respond. Do we try to protect ourselves from the challenges or do we approach them with the full understanding that God has placed them there to give us the opportunity to face them by abiding in Him? What Chambers said really made me stop and think: God engineers circumstance and whatever they may be like, we have to see that we face them while abiding continually with Him in His temptations. They are His temptations, not to us, but temptations to the life of the Son of God in us. When Jesus said, If anyone desires to come after Me, let him deny himself, and take up his cross, and follow Me (Matt 16:24), I never put it in the perspective of it being “His Cross.” And that sets the challenge directly in front of us. When the temptation comes, who do we choose to follow? Do we respond by trying to protect ourselves from the temptation or do we face them as we continually follow after Him? Do we remain loyal to Him and trust in Him that the temptation is there to accomplish His purpose in our life? In reality, our choice is all about loyalty to our bridegroom and putting all our trust in Him. If we recognize that the “temptation” is aimed directly at the life of Christ in us, then we can stand on the promise that He will make a way of escape. A way that not only addresses a spiritual “need” in our life but a way that affords us an opportunity to identify with Him, grow ever closer to Him, and become more like Him as the Holy Spirit matures us spiritually. What are His temptations? They are opportunities for us to not only “suffer” with Him but to “rejoice” in His victory over them. They are all about the challenges to His life in us that He allows us to face and choose who we will follow. Let us not forget that He was tempted in all ways while He lived here on earth and He did not sin, and the fact that the enemy has not given up. He is just taking another approach in attacking the one’s who carry Jesus’ life.